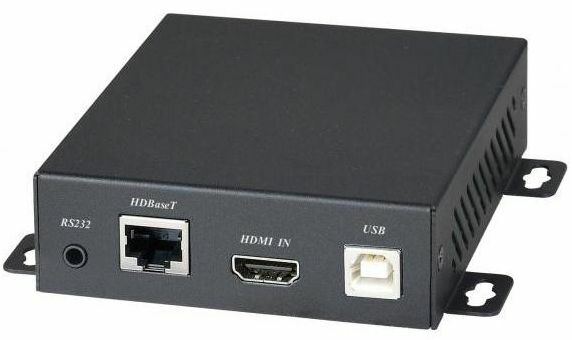 HDTV Supplys 4K WolfPack HDMI Extender with HDMI 2.0, HDCP 2.2 and HDBaseT 2.0. is an extender which can send an uncompressed HDMI video and audio signal upwards of 330 feet to an HDMI equipped widescreen or projector. Our HDMI 2.0 to CAT5 Extender is designed to convert an HDMI signal to standard HDBaseT signal which then can be transmitted by a single Ethernet cable. Our WolfPack HDMI 2.0 to CAT5 Extender supports all the latest compliantcy like HDMI 2.0, HDCP 2.2 and uncompressed HDBaseT 2.0 video. USB 2.0, 1.1 and 1.0 In and Out Support: The HDMI 2.0 to CAT5 Extender is equipped with USB connectors that provide touch panel control (not supplied) and file transfer functionality if you chose to install those capabilities. Our HDMI 2.0 to CAT5 Extender with integrated USB 2.0 lets gamers connect their controllers in the TV room, while the console is on the other side of the home and can have their computers stored in a remote room while keeping their work space quiet. The HDMI 2.0 to CAT5 Extender supports an Xbox 360 with Kinect without having to buy an additional extender and without running an additional run of CATx cable. More significant than USB supports point-to-multipoint video distribution and the HDBaseT 2.0 switches. 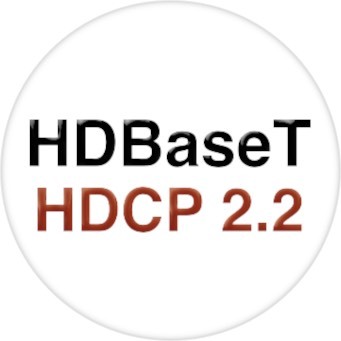 HDBaseT 2.0 adds networking, switching and control point capabilities to the physical and data link layers available in the original set of specifications. It also defines point-to-multipoint connectivity, providing multi-stream support. HDBaseT 1.0 defined a point-to-point connectivity standard. HDBaseT 2.0 also adds inherent support for USB 2.0, and other native interfaces which enable manufacturers to remove multiple interfaces and conversion components required for HDBaseT 1.0 products. Supports HDBaseT 2.0 specification over a single CAT5e/6/7 cable up to 100M or 328 feet. Uses a single UTP LAN cable (CAT-5e/6) to substitute for a long HDMI cable to achieve long distances HDMI transmissions. 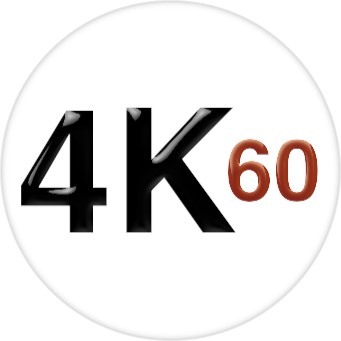 Full HD support at 1080p @ 60Hz @ 24/36/48bit/pixels. Transfers a Bidirectional RS232 control signal together with the HDMI signal. Our WolfPack HDMI Extender also supports a Bidirectional Infrared control signal so you can control the source and the widescreen or destination side, an RS232 control signal together with the HDMI signal Also you can control the source which can be up to 330 feet away. Why not buy this HDMI 2.0 to CAT5 Extender today? RS232: For RS232 control signal transmission, just connect two RS232 cables to both RS232 ports of HDMI over a single CAT5/6 Cable Extender Set, they work just like an RS232 extension cable. Why not buy this HDMI Extender with POE today? HDTV Supply has this HDMI Extender with POE in stock in our California warehouse so place your order at the above ADD TO CART button by 11AM PST and it can ship today or call us at 800-841-9238 to place your order. See the below manual for general operation but this product DOES NOT support USB! HDTV Supply is a leader in supplying 3D equipment for this new, fast growing 3DTV market. Our test lab includes the latest equipment for designing, testing and supporting 3D video equipment. The chips sets we use support many of our 4K, HDMI 1.3 and HDMI 1.4 compliant devices. The 3D viewing results were awesome in our lab and did not have any picture or audio degradation. The normal and standard (2D) results equally exhibited a superb picture quality. Why not buy this product that supports 3D today? Q: What is HDBaseT 2.0? A: HDBaseT 2.0 is the latest specification released by HDBaseT Alliance in August 2013. The new specification introduces HDBaseT HomePlay feature set that, based on the HDBaseT 5Play capabilities, will make it simpler and more cost-effective for consumers to turn their entire homes into multimedia entertainment centers. HomePlay features an elegant, affordable plug-and-play solution that will allow the average consumer to enjoy the same multimedia benefits of HDBaseT that the professionals have become accustomed to. HDBaseT HomePlay defines the adaptations across all seven layers of the Generic communication OSI 7 model to allow the support of time-sensitive, high throughput video/audio and other time sensitive applications. While HDBaseT 1.0 addresses the Physical and Data Link layers only, HDBaseT 2.0 adds networking, switching and control point capabilities. HDBaseT 1.0 defined a point-to-point connectivity standard, HDBaseT 2.0 defines point-to-multi point connectivity, thereby providing multi-stream support. Spec 2.0 also adds inherent support for USB 2.0, and other native interfaces which enable manufacturers to remove multiple interfaces and conversion components required for HDBaseT 1.0 products. The result is a smaller and a simpler-to- implement switch. HDBaseT 1.0 was defined to support the transmission of "video, audio, Ethernet, power and controls, what we refer to as the "5Play" feature set. Spec 2.0 establishes a specification that will allow HDBaseT HomePlay switches to control and distribute multimedia throughout consumers' homes. HDBaseT 2.0 represents the culmination of more than two years of development work by both Pro-AV and CE manufacturers, and it offers significant benefits to the pro-AV companies such as native USB2.0 and additional features to improve performance margin including for 4K video and optimize the existing infrastructure and bandwidth. 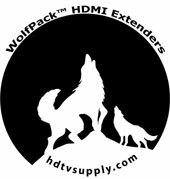 HDTV Supply created our unique line of WolfPack line of products which are born from a hungry, circling pack of high performance video and audio HDMI that surround our competition to devour them. The WolfPack family is sleek, unique & swift & even the smallest configuration wolf can adapt himself to many hostile environments. The Wolfpack family can roam long distances even some up to 300 feet over HDBaseT trails and howl 4K whereas those who try to trap the WolfPack fails & runs away to the older devices. Why not buy one of HDTV Supplys WolfPack products today?